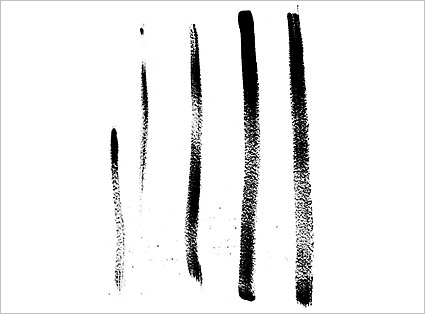 Use brush on old fashioned, real white paper to make some more or less straight lines. Scan them in gray or B&W mode on 300 pix/inch resolution. Now you can simply create brush in 2 steps. Use Rectangle Marquee tool to make selection. 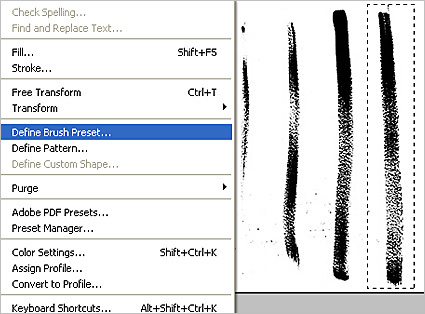 Go to Edit – Define Brush Preset. New Brush dialog pops out, rename it if you want. Subscribe to my newsletter and get immediate access to loads of free Photoshop brushes and other freebies! good but u all not honest… u said free but still need money for downloading….????? apit, this brush is FREE… what do you want? I have “product section”, so you don’t have to go there if you don’t want to. Don’t be ungrateful, this makes me sad and unwilling to create anything for free. Not to mention apit that you didn’t leave your real email address! But you downloaded it for free, right? Hi I just want to say that I REALLY APPRECIATE all the free stuff you made here for everyone, and as well as the tutorials you have offered here. Currently using Photoshop CS2, you made it look so easy to use Adobe Illustrator. Now I want to go out and buy Illustrator!!! Can’t wait to tell everyone about you!!! Many thanks acash 🙂 Now I’m happy! WooHoo! How do you make a permanent custom brush in Essentials? master collection as a gift , which will probably take the rest of my life to learn,but because of people like you, we can. again thankyou so much. Hey I just wanted to let you know that I don’t have a hard time downloading the free stuff at all. 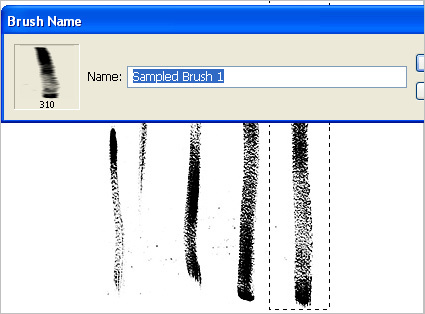 Matter of fact, I love this brush and plan to use it do make my next digi scrap grunge frame. Thanks! !